The North Pole is famous throughout the world for being home to Santa Claus! What is it about the North Pole that makes it perfect for storybooks and screenplays? The North Pole is the northernmost point on the Earth. It is located in the middle of the Arctic Ocean. There is no land mass, which makes it pretty easy for any internet-savvy kid to go online and ruin Santa Claus' career image for good. Unlike the South Pole, there is no way to build a permanent research station thre because of the constant shifting sea ice. The first confirmed landing on the North Pole was in 1968, despite numerous attempts since the year 1827. Since the 1960s when a plane was landed there, boats and submarines have made the journey as well. None of these trips have been very long term however, because, well, it's cold! The North Pole has long been famous as the home to Santa Claus, the keeper of all things Christmas, and more importantly, the fellow who brings the loot on Christmas morning. Also known as Father Christmas, there is actually quite a difference between the two in tradition and lore. Father Christmas is from much older legend based in European mythology. He was thought to have carried the "spirit of Winter" with him, and he went from house to house being fed and given things to drink by the household members. He did not bring gifts and was not associated with children. In the Victorian Era, Father Christmas became more "Santa Claus" like, and though the Europeans still call him Father Christmas, he and Santa Claus serve the same purpose for children around the world. What About Mail Addressed to the North Pole? So if all of these kids around the world have been told that Santa Claus lives at the North Pole, but there is no land mass there to set up a post office, then where exactly do all of those letters to Santa go each year? The North Pole Post Office, located in Europe, gets over half a million letters from children year round. Some of these letters become part of the Phenomenon designed by a university to study and analyze letters written to Santa. 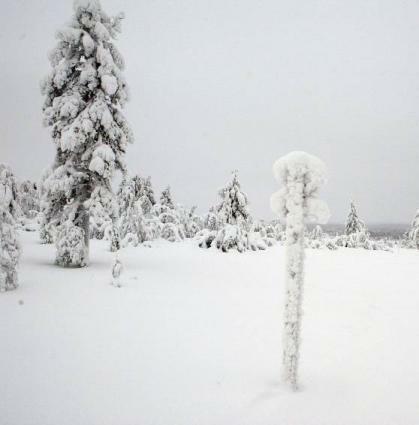 Some are saved for displays and decoration in the Arctic Circle in Lapland. Many letters become part of a volunteer project called Santa Claus. It was started in the 1920s in New York and continues with volunteers writing responses to as many letters as they can. Sometimes, they send gifts to the children who wrote the letters as well. With today's technology, many children now e-mail Santa Claus instead of wasting postage stamps sending a letter all the way to the North Pole. There are several websites that give "Santa's" email address, including one that directs your email to North Pole, Alaska. No matter what you think about when the words "North Pole" are spoken, it surely is a magical mystical place for everyone from small children to the greatest of scientists.